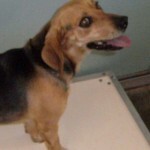 The Charles City, VA Animal Shelter. These precious pups all need rescue by April 2nd. You may be aware, but the shelter in Charles City is rural and there is little foot traffic or marketing of the available dogs. I’d like to help change that. Dogs there have very little opportunity to be adopted into good homes and very little time. 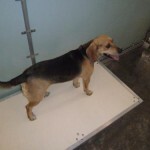 They are held for only one month before euthanization and the shelter holds firmly to the set euthanization dates. 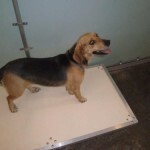 – Female adult beagle (believed to be about 3-years old) and she weighs about 25 pounds. – She has not displayed any aggression towards people, dogs, or when food is involved. – Appears to be of the Bramlett line. – Very friendly and very clean and does cower if you approach her quickly.